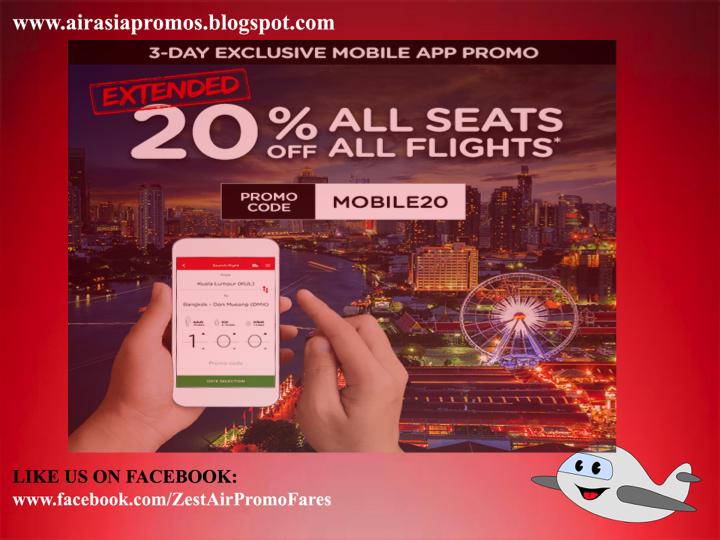 Air Asia Promos 2019 to 2020: 20% OFF using your mobile phone 2017! 20% OFF using your mobile phone 2017! Air Asia Promo Fare 2017: Missed the previous 20% off promo? 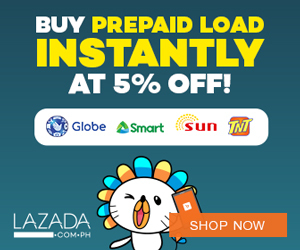 Fret not, our 3-day exclusive mobile promo is here to save the day! 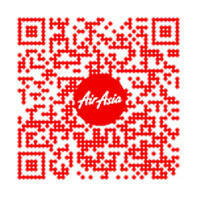 Enter promo code MOBILE20 on the mobile app and enjoy a 20% discount for all seats, all flights. * This is a 3-day exclusive MOBILE app promo only! So you have to download it to avail the promo code. Fuel your wanderlust with amazing fares.